Florida can be a tough market to be a facilities manager. We have high humidity and a lot of heat which requires consistent and trouble free A/C operation. If filters are not kept clean you not only have operational issues you also have indoor air quality complaints to deal with. On the structural and electrical side we have thunderstorms weekly that can cause water intrusion issues as well and electrical failures and this is before we even consider coastal environments. We have been handling large statewide accounts for many years and in 2010 we began developing our own facility tracking system to keep account of every system we service, with every service reading and invoice all in one place and all accessible by YOU the customer. We now provide managed services for all maintenance and construction trades throughout the state of Florida. 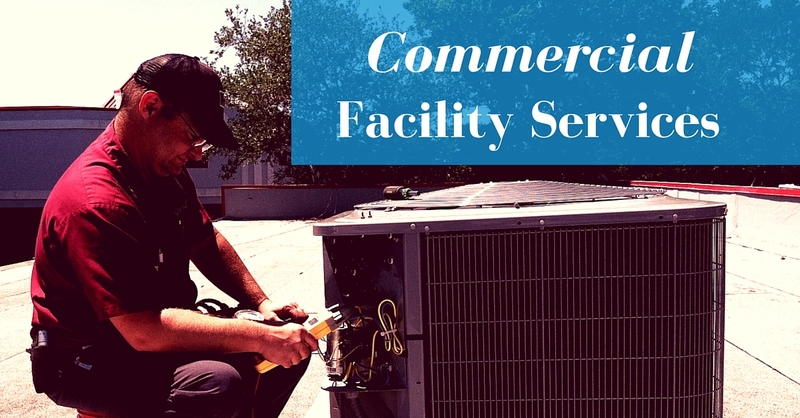 We are legally allowed to do so because we are a licensed building, electrical and HVAC contractor. Here are a few keys areas we handle so you can focus your energy on other areas. We send a qualified staff member to visit your sites, mark and document the equipment including filters, model and serial numbers as well as age and condition. we then create site maps and put all of this up on our website for easy access. We provide you with a direct management and administrative contact to make sure that we are doing all of the details the way you want it done. We will conform to your processes and procedures instead of trying to make you learn ours and when you are in a pinch you have two real humans who can get things done for you in a hurry. We have premium workers comp, auto and liability insurance well above the legally required minimums and we train our staff WEEKLY on proper technical and safety procedures. This means that you will never need to cross your fingers and hope an accident doesn’t occur. If heaven forbid an accident does occur we will have it covered. Nothing is more irritating to a facilities manager than delays. You call and call AND CALL and all you get is excuses and voicemail. Not with us, we will get out quickly, quote promptly and bill immediately and based on YOUR procedures. no more budget busting surprises and calls from your sites asking “when is this going to be fixed”. “We at CubeSmart have been using Kalos services for the past several years. What started out as a small relationship has grown into Bryan and his team servicing over 80 of our locations throughout Florida. Pricing is fair, service is unparalleled, and the personalized database Kalos created for us allows our facility team to make excellent decisions for current and future needs. With over 700 locations nationwide I can confidently state that I wish we had a Kalos in every market”. So give us a call at 352-243-7088 or fill out our contact form and we will get you in touch with a commercial account manager ASAP, if you want you can just email our lead account manager Mike Klokus at Mike@kalosflorida.com and he will take care of you. How Can We Reduce Your Headaches?